ABA today urged the Office of Management and Budget to reject the OCC’s proposed changes to its Bank Secrecy Act/Money Laundering Risk Assessment, or MLR, which evaluates the BSA/AML and OFAC sanctions risks associated with bank products as part of the agency’s BSA/AML/OFAC supervision program. The American Bankers Association today urged the Office of Management and Budget to reject the OCC’s proposed changes to its Bank Secrecy Act/Money Laundering Risk Assessment, or MLR, which evaluates the BSA/AML and OFAC sanctions risks associated with bank products as part of the agency’s BSA/AML/OFAC supervision program. The OCC has failed to demonstrate the usefulness of the data collected while balanced against the burden of collecting it, the association said. 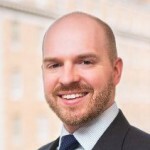 “Without evidence to substantiate the utility of the data and how it serves the purpose of detecting and deterring money laundering and terrorist financing, the MLR is a regulatory exercise that consumes resources that could be better allocated.” For more information, contact ABA’s Rob Rowe.